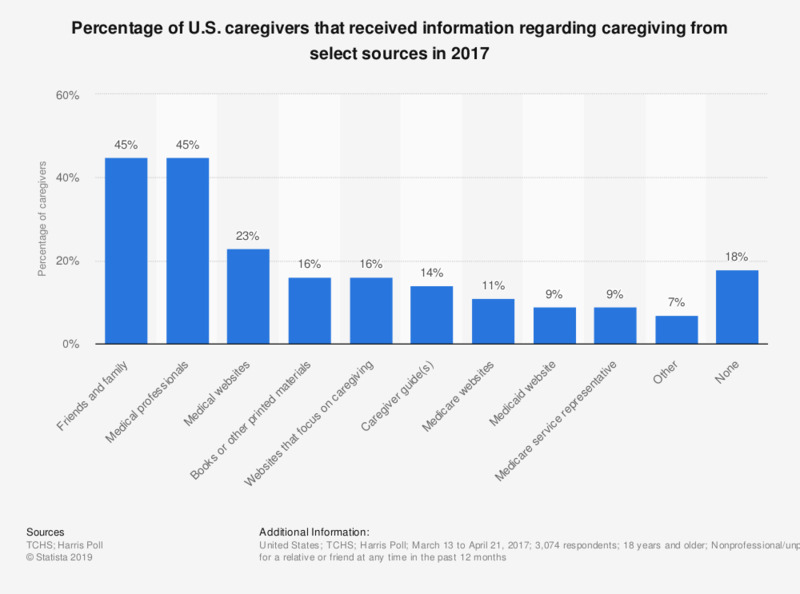 This statistic displays the the percentage of U.S. caregivers that utilized select resources to get information about caregiving duties as of 2017. According to the survey, 45 percent of respondents relied on friends and family, and medical professionals to provide them with information regarding caregiving responsibilities. Original question: "Which of the following do you rely on as sources of information to assist in your caregiving duties? Please select all that apply."